TK Architects’ Sr. 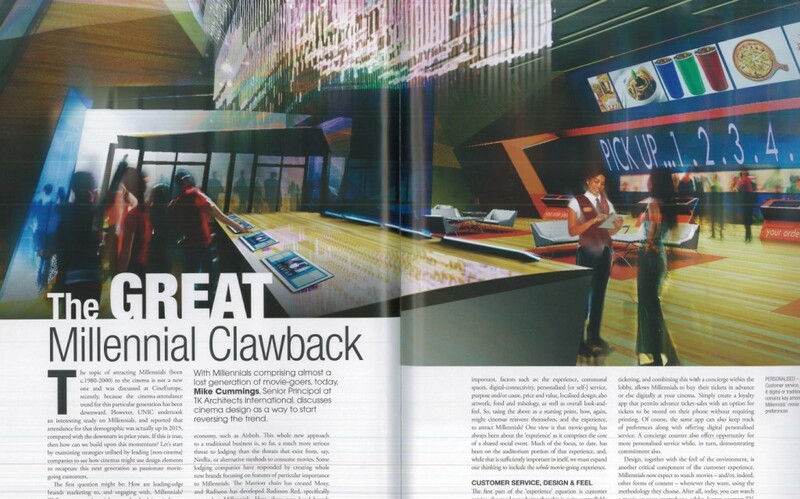 Principal Mike Cummings was featured in December ’16 issue of Screen Trade magazine, article named “The Great Millennial Clawback”. With Millennials comprising almost a lost generation of movie-goers, Mike Cummings discusses how design can help revert the trend.